Written for the education of his own children, A Child’s History of England is Charles Dickens’ take on English history from the time spanning 50BC to 1689. In Dickens’ own words, “My own dear children, whom I hope it may help, bye and bye, to read with interest larger and better books on the same subject”. Obviously, Dickens hoped his book would spark an insatiable thirst for history. 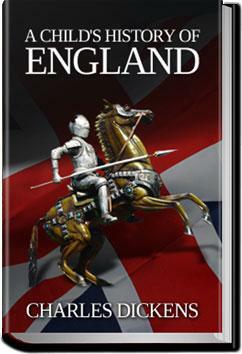 A Child’s History of England was first published as a series, released from January 25, 1851 to December 10, 1853. Later, it was released as a book of three volumes. It became mandatory reading material for children in the British school system, well into the 20th century. Although it was originally written for children, the book may be difficult for some in modern times due to its vocabulary. Your child would probably benefit from a dictionary placed close at hand (you may also require one! ).